Refrigerator Door Gaskets becomes brittle overtime and a good sealing Fridge Door Seal is needed for effective cooling and to stop warm air leaking into the refrigerator Cabinet. The door seal keeps the wet (moist) or warm air out of the refrigerator and keep the cold air sealed inside the refrigerator. They also come in different profiles and colors (White, Grey, Cream and Brown). To remove the (tong and groove type) seal start at the top right hand corner. Just lift it out by puling on the old refrigerator seal - slowly pull it out of the channel groove. Then Work your way down the sides and at the end pull it out of the bottom channel. Start inserting the new gasket at the top corner and work your way over to the other top corner. Then you move down the sides to the bottom corners - slowly push the seal in the channel with your thumb. If you lift the seal-lip away from the inner plastic of the door panel your will see screw underneath the door gasket that holds the Gasket in place. Look if there is a little bulge along the rim of the plastic, this indicates that your refrigerator uses a clip-on refrigerator Gasket. Otherwise was if the plastic door panel are just smooth (with screws to hold it in place) it will take a flat-back Door gasket. The flat-back gasket normally gets used on older refrigerator and deep-freezers. If there are no screws present underneath the door gasket and it looks like the gasket is molded into the door it means the gasket is a push-on-type. Always start by unscrewing the bottom door panel screws and work you way around the panel to the top. Then when you have removed all the side screw you take unscrew the top screw. The plastic panel and gasket should now be loose from the refrigerator. If the panel is still molded to the door just un-clip the gasket and refit the new gasket. • When fitting the screws back, put one screw at the top to hold the panel in place. Start inserting the screws form the bottom working you ways around the sides to the top. 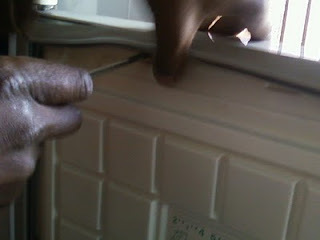 While doing this Do Not tighten the screw - align the door gasket first . Then start tightening the screws - again from the bottom up. • If the new flat-back seal do not have pre-manufactured holes in the gasket - just press the screws into the seal threw into the door holes. By attempting to make holes before fitting the gasket, can really turn into timely exercise. • If the seal is molded into the door panel and there are no screws present, save yourself and call a professional because it means the seal will have to be cut to fit the new seal. The Clip-on and Flat-back type gasket can be made according to you specifications. Just Measure the gasket from one end to the other and top to bottom (length). You will also need to specify the profile and color. Order the Tong and Groove-type only from the unit manufacture or their service agents only, because the lip and the groove can be ever so slightly different when you have this made up and a simple procedure will now turn into a night mare - just trust me on this one. To order from the manufacture or their service agent you will need to provide them with your refrigerator model number and sometimes also the type number. These numbers can be found on the back or on the sides of the fridge. Sometimes it is even situated behind the vegetable draws inside the fridge cabinet. Put some Vaseline of Glycerin along the cabinet side where the door hinges are –it will make the door closes smoother. As always if you run into a snags or you need more pointers just go to High Point for more free advice. 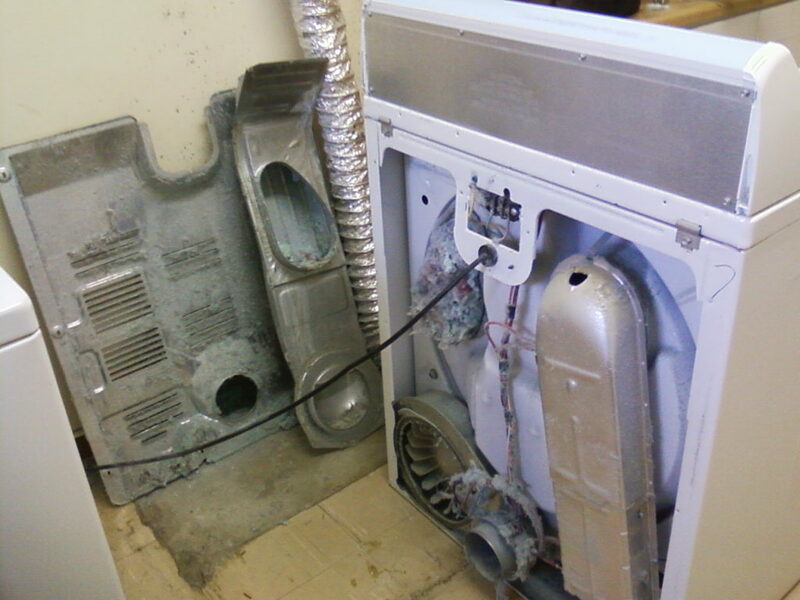 Watch this video and learn how to replacing the door rubber of a Washing Machine. Replacing door boot/seal of a washing machine can be done by anyone all you need is a little know-how and patients. As always if you run into a spot you can ask someone over at High Point. Now isn’t that nice to know you have someone watching over you. Dirty and Smelly washing machines are a common problem and if you are an animal lover the problem is even worse. -Same as above except most new machine have a filter (fluff catcher) and this can be unscrewed and cleaned on a regular basis. -Use a good cleaning agent. -Let the machine turn a couple of times so that the chemicals and water can mixed. - Afresh Tablets. I haven’t seen it for sometime but might still available in the U.S. If the above remedies do not solve the smells and stains problem, then the only way would be for us to strip it down and give the inner drum a physical scrub and service. Grease and oil stains on laundry are an indication your drum seal and bearing are broken and in need of replacement - Together with been noisier when going into the spin cycle. As always if more information is need just go to our Facebook page and ask because there are people that know. Living a greener way should become a priority to us all - just take note what is happening at the poles and our current weather pattens. By making a few adjustment in our daily living and servicing our own appliances regularly we can start making our carbon foot print a little lighter. · Switch your Dryer on only when you have a full load. · Be on the alert when your dryers starts making unusual sounds – it is normally a indication that it needs new bearing and by servicing your unit it will also use less electricity. · Set water levels to half loads – it makes the concentration of the chemicals (washing power) stronger resulting in a cleaner wash. Only when washing woolens should you always stay at recommended settings? · Sun- dry towels everyday instead of has it every time. · Use only the cold water setting. If the owner had this leaking heater element sorted the motor would not have burned-out. · Always keep Refrigerator Full - even if you must put some water bottles inside it, once all the “stuff” has reached it temperature it actually helps to maintain the cabinet temperature at a level. · Pack stuff inside the cabinet so that it forms a” wall” – every-time you open your refrigerator all the cold air falls out. · Always make sure that the Fridge Gasket is sealing properly and that they are in good condition – so that hot air doesn’t gets into the refrigerator. Replacing a door gasket is not rocket science. 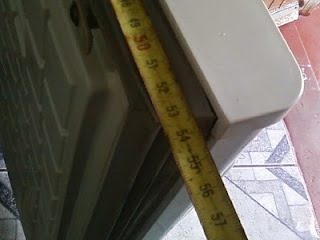 Just measure it on the outside, send me the measurements and I will have it made-up. · Store high usage items (milk) in a cooler box – uses icepack to keep cooler box cold. · Have a small counter top gas burner installed for everyday usage instead of using stove plates. · Always use correct pot or pan size on plate size. I am sure you can find some value in these tips, if your have some more advice and tips please share them with us.